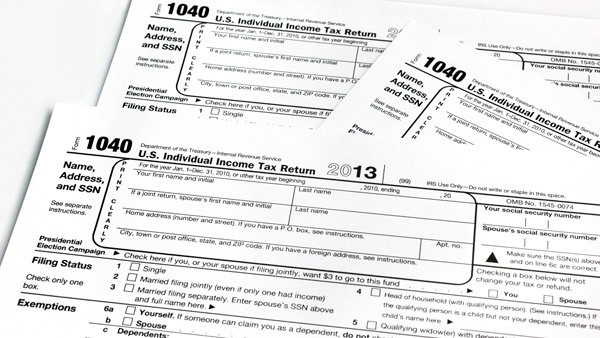 The 2014 tax season is now here, and this could be the busiest time of year for many advisors. To ease the pressure during tax season, it's all about communication. The 2014 tax season is now here, and this could be the busiest time of year for many advisors. Among the many challenges of tax season is that it can become too routine; you simply follow the same process year after year. If this describes your firm, you are potentially missing out on efficiency opportunities for your firm and an improved service experience for your clients. Here is a quick list of best practices for this tax season. A successful tax season starts with how you communicate with your clients. Consider writing a letter or producing a webinar or video that covers important details. Items to highlight should include important tax deadlines, tax-exempt (retirement) account items, 1099 information and 1099 delivery schedule. Your clients are inundated with tax information during this time of year, so be succinct with your communications. A common area for confusion is which report your client should use for reporting gains and losses: the report from your firm, their custodian or both. Whatever you decide (and make sure you are clear on this decision), it is very important that any duplicate information between the reports is reconciled. With today’s technology, there shouldn’t be any surprises in this area. Reconciliation of this gain/loss data should be happening throughout the year, and is especially critical for transactions that are considered “covered” under the IRS cost basis reporting rules (see “Cost Basis Reporting: The Gift That Keeps on Giving”). Speaking of cost basis, this is also a good time to revisit the default accounting methods set up on an individual account. Perhaps one of the more frustrating aspects of tax season is when you are waiting for a 1099 to be delivered for a client account, especially when the 1099s for the same client’s other accounts are already complete. To help ease some of the frustration in this situation, you should be able to work with your custodian to determine the asset or assets that impact the delivery of the completed 1099. Knowing the holdings that are delaying the 1099 should also help in researching and ultimately determining the estimated delivery date of the 1099 report. A common best practice that is overlooked during tax season is double-checking retirement contributions. Too often, contributions need to be “re-coded” to reflect the proper contribution year (2014 versus 2015), or the contribution mix between employee and employer is miscalculated. Ideally, you want to catch these errors early to avoid any additional frustration or concerns. Fire drills during tax season are hard to avoid. It is expected that your firm will receive a number of last-minute requests. Given this pressure, it is important to remind your staff of your firm’s security policies. It is too easy for staff members to rush responding to a request and forget to encrypt information they are emailing to a client. Furthermore, you should review with your staff the permission or authority required to receive information on behalf of a client. Just because someone says, “I’m the accountant for your client and I need some cost basis information,” it’s not enough to release the data. Of course your staff wants to be helpful, but it is still important that they closely follow your security policies. Advisory firms that successfully leverage technology throughout the year continue to be an efficient firm during tax season, too. Products like their imaging system, portfolio reporting, CRM, website, etc., all serve important roles in helping these firms provide excellent service and support during tax season. In fact, these firms might feel tax season is not much different from any other time of year, and that is a great overall goal for all firms. How Many of Your Clients Use Tax Reporting Software? Do you know how many of your clients (and which ones) use tax reporting software like TurboTax? It is important to have this information because these clients will likely create permissions in the software to electronically download their tax reporting activity and details directly from the custodian of their accounts, essentially bypassing any tax information that you might be sending them separately. If everything is reconciled, there shouldn’t be many problems. However, it is important to recognize the source of the data, especially as it relates to “uncovered”—meaning “unreported”—cost basis for positions that were acquired prior to the IRS reporting mandate. Therefore, remember to include specific guidance for these transactions in any of your tax communication materials.